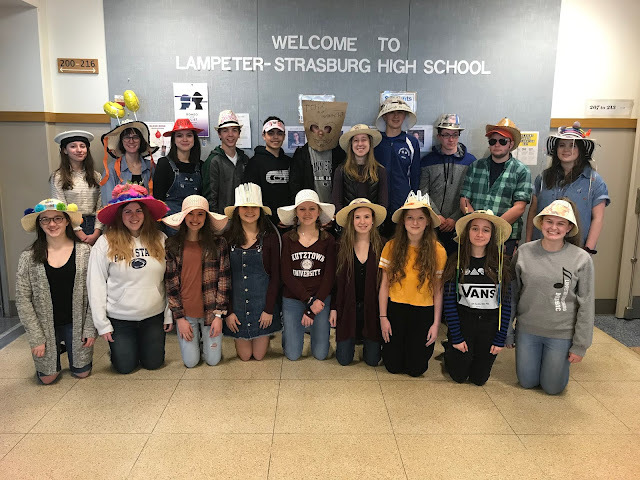 Lampeter-Strasburg has a reputation as one of the more fortunate school districts in the area, so many of its residents probably give little thought to social work. In fact, many may even find the idea the idea of people and families needing help uncomfortable, but it is a fact of life. And in order to dispel some myths and share the realities of need in L-S, we had a chance to talk with Michelle Holland, the L-S School District social worker and home visitor. Although Holland is the district’s first full time social worker, the district has used part-time workers on contract before. "We made the decision to hire a full-time social worker four years ago, when we began to offer a wider array of services to meet the social/emotional needs of our students," Mrs. Karen Staub, director of special services at L-S, writes in an email to LSNews.org. In Holland's words, her job is to "connect families with resources to help their children in school." This includes helping families in everything from insurance and finance, to medical care and transportation, a rather wide umbrella. "I work with everybody, and have referrals for all sorts of needs," she says. However, this doesn’t daunt Holland. Without hesitation, she says that she loves her job, partly because she "never knows what’s going to happen" each day. She also loves being part of the district community, and makes "a lot of home visits, primarily with parents." When opening a case, Holland starts by analyzing the family's "strengths and weaknesses," and finds out what they need to get along. She always wants to help with compassion, "just how I’d want them to treat me" in the same situation. The connection with those families is the most important thing she believes, and that the feeling that you are working in step gets the most done. Overall, she wants families to know "the school is a resource for them," and wants "for kids to want to be here (in school) and be successful." But how is L-S? When first asked, Holland shared that "the socioeconomic status is changing in all school districts." In L-S, there has been more and more financial need, but the main thing she sees in L-S are families that are just above the cutoff line for free and reduced lunches, but still need help. Statistically, over the past several years the percentage of students in the free and reduced lunch program has risen from around five percent to over twenty percent. L-S still has among the lowest percentages in the county though, and Holland believes “a lot of services are out there, and they are getting easier to navigate,” so that the problem is not out of hand. It’s important to note that Mrs. Holland admitted “there is so much I’d like to do,” and that she wants families to know it isn’t a bad thing if they need help. Among the biggest challenges with lending a helping hand to those in L-S is an inherent sense of pride that often precludes people from asking for help, something Mrs. Ilse Medlock, founder of the L-S Community Closet, told us when we interviewed her last week as well. Holland wants everyone to know social work does not mean taking away children because they cannot be cared for. It is meant to help their own families care for them, and foster a stable life at home so they can have a successful academic life at school. "She is the link between the home, school and community," says Staub, "in providing direct and indirect services to students, families and school personnel to promote all students' academic and social success. ​"